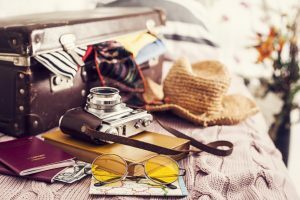 Regardless of whether you plan to stay in a vacation rental on Oahu or the Big Island, some items on your Hawaii packing checklist are crucial! Contrary to belief, it’s not all sunscreen and sandals, though these certainly made our list. Read on to make sure you have everything you need for the vacation of your dreams. Then, be sure to check out our complimentary Vacation Guide which serves as a fantastic resource for planning your tropical getaway! Purchase a waterproof phone case for so that you can bring your phone along for watersporting adventures. Invest in an underwater camera for the perfect shot of marine flora and fauna. You won’t regret this purchase when you have a photo of a green sea turtle to brag about! Consider bringing lightweight tripods, filters, lenses, and bags to make your Hawaii photography tour a breeze. Keep a portable charger or power pack on you so that you don’t have to worry about your phone or camera dying before you get to your destination! Floatation straps help keep your waterproof camera/phone from sinking when you’re out in the water. Pack resort wear for a night out at one of the best restaurants on Oahu or dining establishments on the Big Island. The perfect swimsuit is crucial! Bring a bathing suit you feel good in, so that you can relax on the beach with confidence. Additionally, pack a swimsuit cover-up to throw on before lunch after spending the morning on the beach. Ankle-high hiking boots for the best excursions on Oahu and the Big Island. Pack your favorite gym or yoga attire so that adventuring is comfortable. Carry a lightweight backpack to tote around snacks, clothing, and more on day hikes. One thing you’ll learn on the islands of Hawaii is that locals are environmentally conscious. Bring your own reusable water bottle! Don’t forget sunscreen! Nothing will ruin your vacation quicker than a gnarly sunburn. Whether you want to lounge around Hanauma Bay or explore the Big Island’s botanical gardens, you’ll need a pair of sunglasses. Locals and visitors alike wear flip-flops just about everywhere they go! Invest in a pair of sandals before making your way to the islands. Whether you’re kiteboarding, ziplining, or venturing on popular Oahu waterfall hikes, don’t forget to bring a beach towel! You never know if you’ll need it. In addition to checking off items on your Hawaii packing checklist, it’s important to choose the perfect place to stay during your visit. 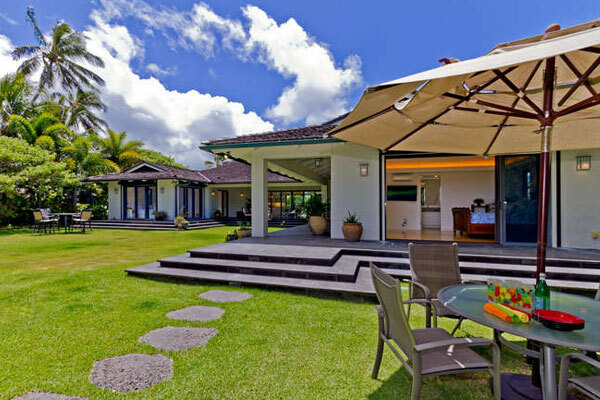 Private Homes Hawaii vacation rentals set the scene for a dream getaway in a tropical paradise! 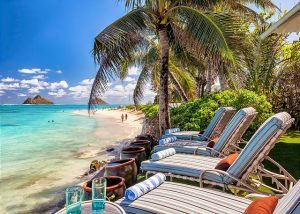 Stay in a house on the pristine white sand beach of Lanikai on the Island of Oahu. 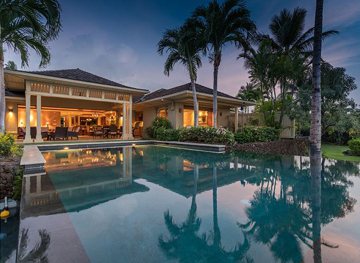 Opt for a resort fairway villa on the Hualalai Golf Course on the Big Island. Wherever you choose to go, rest assured we’ll do our best to make your trip one for the books!